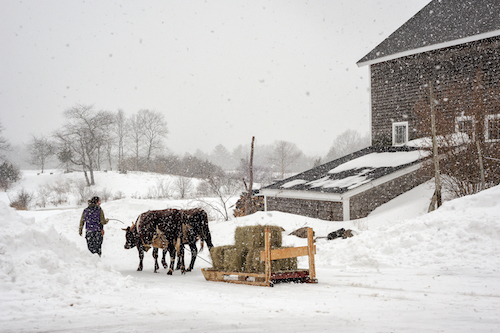 While the frozen ground waits for this year's crops to be planted, local farmers will offer a warm evening of storytelling at this special Greenbelt event. Join us at the Firehouse Center for the Arts in Newburyport on Wednesday, February 13th. 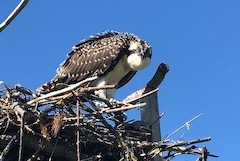 2018 Osprey Report, Heritage Landscape Conserved, Channel 5's Chronicle, and More! We're pleased to report that 2018 was another banner year for Osprey in our region. Many thanks to our volunteer citizen scientists who make this program a success. The full 2018 Osprey Report is now available! Greenbelt recently accepted the generous gift of a Conservation Restriction on approximately 30 acres of spectacular land in West Gloucester from Sam and Betsy Holdsworth. Greenbelt to be featured on Channel 5's Chronicle next week! 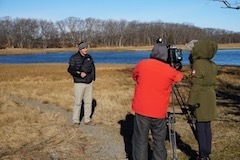 On a brisk and bright January morning, Channel 5's Chronicle interviewed Greenbelt's Dave Rimmer for their upcoming program, Happening Hoods. Watch for us on Jan. 22 at 7:30 pm. No science background is needed to enjoy this event! Bring your curiosity and get ready to be inspired as three outstanding panelists discuss the latest work in local conservation science. FREE. Do you love gardening? Or meeting new people? One of these opportunities may be perfect for you. 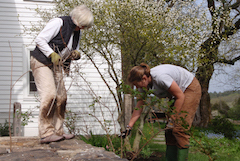 We're seeking volunteers to help keep up our Cox Reservation gardens, or bring brochures to local businesses. Sign up today! 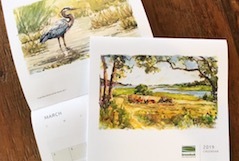 Greenbelt's beautiful 2019 calendar is for sale online while supplies last. 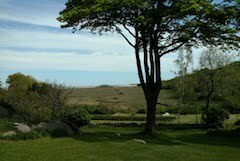 Its watercolors, inspired by local landscapes, were created and generously donated by local artist Susie Field. 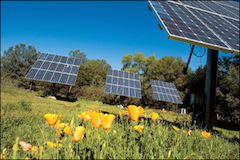 Cost-saving solar power is now available to more residents. Relay Power will donate $100 to Greenbelt for each new customer.